Papa CJ is the global face of Indian standup and winner of Asia’s Best Standup Comedian award. Navjot Kaur Sidhu is the first Indian woman wrestler to win a gold in the Senior Asian Championships. Aseem Trivedi is a cartoonist, human rights defender and public speaker best known for his politically charged campaigns like Cartoons Against Corruption, Black & White and Save Your Voice. Navniet Sekera is responsible for the functioning of the Women Power Line in UP, which has bagged an excellence award for its work. Peeyush Meena cracked IIT while sitting in Kota Jail where his father was a convict. Overcoming their genetic disorder, Shruti and Gauri Bhatla won the National Award for their outstanding achievement in creative arts. Painter Amit Verma can create a breathtaking 5×5 painting in under 5 minutes. Dilpreet Kaur is the first person to bag 13 Limca Book of Records in one year, thanks to her speedy calculations. Atul Mehra started Tasty Dairy in 1992 after assessing the tremendous scope in dairy processing in and around Kanpur, which is one of the richest milk belt of UP. Simran Singh, who had been learning the basics of coding since 13 years of age, designed an app which scored him a chance to meet Microsoft CEO Satya Nadella. Shachi Singh’s involvement made Charbagh station the first railway station in India to be declared child labour free. Vinod Punjabi opens up on how to boost sales using highly popular social media tools – Facebook, Whatsapp and Instagram. RJ Raghav opens up about why he chose an unconventional career like radio jockeying. 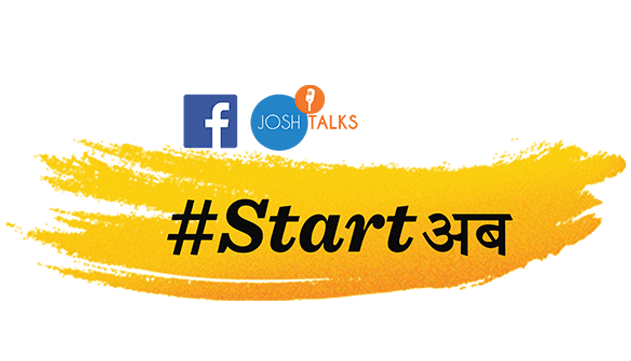 Josh Talks, in collaboration with Facebook, is hosting the eighth event of the year on the 7th of April in Kanpur. This day-long conference cuts across genres to bring you incredible stories of gritty people who will surely be your next role models. Our line-up features a social entrepreneur who is building an inclusive and accountable education system, a young stock market wizard who is garnering immense profits due to his sheer genius at playing the market, and a cartoonist who is one of the staunchest champions of the Freedom of Expression Act, among other exciting personalities.